These are best served warm and are a popular snack with drop-in guests. Serve with hot or cold beverages. 1. 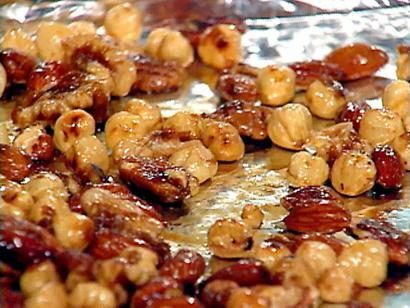 Toss the nuts with the salt, spices and sugar, if desired. Keep warm in a 200 F (95 C) oven until serving. 2. Can be kept for 2-3 weeks. To rewarm, place in a 250 F (120 C) oven for 7-8 minutes.